It's officially that time of the year when we start bundling up and all everything we own smells like pumpkin spice. While this is an exciting time for everyone, there are a few responsibilities a homeowner must take care of before being able to relax with a cup of hot cocoa in front of a warm fire. Clean your gutters as frequent as possible. Trimming your trees in advance will help you not have a massive overflow of leaves fall into them, but you should still perform regular maintenance. Gutters can easily be filled to the brim with leaves and this can lead to wood rot problems, pest infestations, and ruined gutters. Everyone can hardly wait to get a fire going but making sure your chimney is ready. Have a professional come and clean out your fireplace. Take the time to clear off your deck and to cover any furniture. Make sure you keep leaves swept off your deck to prevent any damage when they decompose. Do not let leaves hang out on your lawn too long as they can kill your grass. On the other hand, rather than raking all the leaves up and stuffing them in trash bags, mow over them instead. This will add mulch to your lawn and allow it to stay healthy throughout the season. Snow and ice can really weigh down the limbs of trees. If you have any limbs dangling over your roof, you need to remove them. Letting these limbs lay on your roof during snow or ice storms can damage your roof. While you're clearing out your gutters, check your roof for damage, missing slates, or any leaks. Ensure smoke detectors are working and you're changing the batteries as needed. Purchase a little bit of spray foam to seal up any gaps around your home’s doors and windows to prevent heat from escaping during the winter. During the summer, we worry about our air going out, but during the winter we want to make sure our heaters are working properly. The last thing you want is for your heat to go out when it's 40 degrees outside. 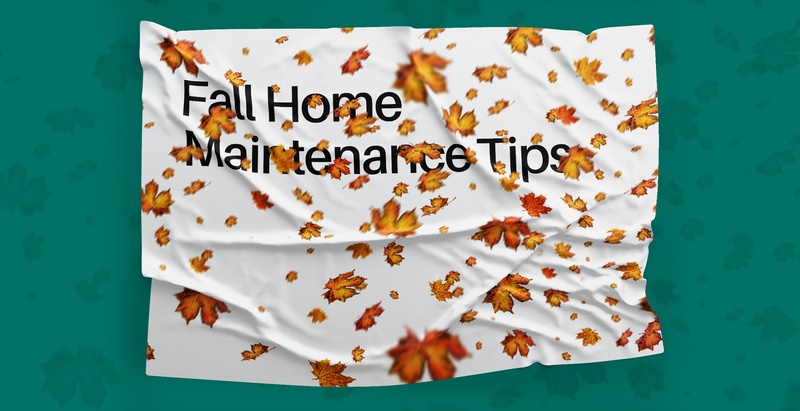 This fall be sure to have a professional check out your furnace, heat pump, etc to ensure it will be working well once the cold arrives. This may seem like a full project, but many of these tasks can be done very quickly and save you a lot of heartache and money later. To stay on top of everything, the best solution is to create a to-do list with a reminder set on your phone for times you know you'll be able to take care of these tasks.